Animal behavior expert opinion is frequently needed in California dog bite lawsuits. Common dog bite issues in California in which the animal behavior expert may be called upon to opine deal with provocation, negligence, foreseeability, and an animal behavior basis to support a claim for punitive damages. In this article, I will summarize the fact pattern of a California dog bite lawsuit in which the plaintiff, an exterminator, was viciously attacked by a pit bull. I served as the animal behavior expert for the plaintiff and I believe partially through my deposition testimony the lawsuit settled very favorably for the plaintiff shortly before trial. An interesting part of the case was that the plaintiff made a claim for punitive damages because there were substantial animal behavior bases to support this claim, as explained below. The plaintiff, an exterminator in his forties, was on the defendant’s property t0 spray the outside of the house. He had been doing this work for the defendant/dog owner for several years. And because of his previous visits on a bimonthly basis, he knew of the presence of the owner’s pit bull. During his visits arrangements are made with the owner to confine her pit bull, named Bruno, in the house so he could spray the backyard. On the day of the incident, the owner may not have been home and her pit but was left in the backyard. There was a dispute about whether she was present. Regardless of her presence, the gate to the backyard was in disrepair and secured by with a single zip tie. The incident happened when the plaintiff was spraying the side of the house adjacent to the backyard. The pit bull broke through the gate and viciously attacked him, a 40-year-old man in good physical condition. The plaintiff stopped the attack by spraying the dog in the face with his hose and then jumped up on a nearby wall to escape. The pit bull quickly recovered and started jumping and barking at the plaintiff who positioned himself on top of the wall for safety. He immediately called 911, the police arrived shortly thereafter, and killed the dog with the gun. This incident happened in central California in a rural area near Modesto. The defendant’s deposition testimony was very favorable for the plaintiffs. First, she testified that Bruno would act aggressively towards unfamiliar people who came near her property and that she kept Bruno as a security dog. She believed pit bulls were naturally aggressive. She failed to neuter and train the dog despite the fact that many of her previous dogs were well trained and neutered. She also testified that Bruno would probably attack a person for protection purposes because of his nature and that he would aggressively bark at anyone who came near the property. She felt that Bruno was extremely muscular, powerful and very intimidating. Bruno was an outside dog so he was kept in the backyard most of the day and night. Moreover, she testified that the backyard gate was in a state of disrepair but she did not have time to fix it so she temporarily kept it shut with a plastic zip tie. The plaintiff was attacked because of Bruno’s strong territorial reactivity. The defendant knew of Bruno’s territorial nature and dislike of unfamiliar people who approach the property and therefore the incident should have clearly been foreseeable to her. Despite her knowledge of Bruno’s aggressive nature, she failed to either train or neuter Bruno. She was negligent in this regard because these interventions may have a strong likelihood of reducing aggressive tendencies in male dogs. The defendant undertook these interventions with all of her previous dogs but not Bruno. The defendant acted in a reckless manner with respect to the manner in which she secured Bruno in her backyard. The gate was in a state of disrepair. In the least, it should have been secured with a padlock and not with a zip tie. Given this, it should have been foreseeable to her that when a stranger approached the backyard Bruno would bark and banged against the gate which in turn would cause it to open because it was not properly secured. There are other aspects to this case which I will not go into the sake of brevity. The above was sufficient animal behavior evidence to conclude that the defendant through her grossly negligent actions compromised public safety thereby placing the plaintiff in harm’s way. I direct the reader to attorney Ken Phillip’s comprehensive website for a legal perspective on punitive damages and gross negligence in California dog bite lawsuits. 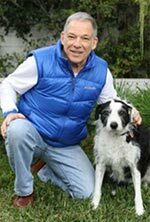 Animal behavior expert, Richard Polsky Ph.D., has testified in over 300 dog bite cases in California and other states throughout the USA and Canada. He will consider assignments as an expert witness from personal injury attorneys involved in dog bite litigation.